Family game night is such an important part of our strategy, here, to build a strong family. It allows us to laugh at ourselves, to show our children that we are not perfect (if the happen to still be under that illusion) and gives us all a chance to practice grace. Some of our children have a little difficulty with defeat and game night offers the opportunity to practice losing in a safe place surrounded by lots of love and encouragement. It helps us connect and get to know each other in new ways. In short, game night is a must around here. 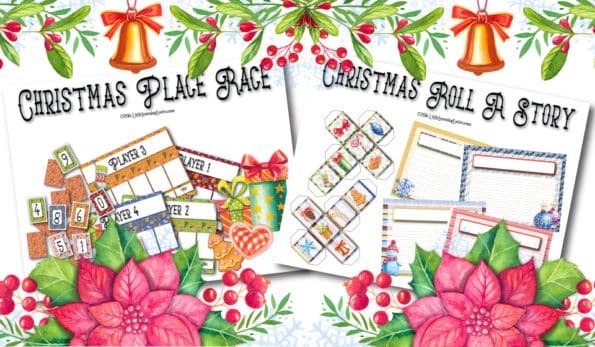 During the weeks between Thanksgiving and Christmas, we get rather overwhelmed by all the things that need doing, people we go to see, parties to throw and attend, preparations to make and so much more. At a time when we should feel closer to each other, I find that all too often the opposite is happening. So during the holidays, we make an extra special effort to connect through game nights. Sometimes we invite friends over, too, and that’s always an added bonus. We get to connect and learn more about them! Do you do game nights? I have a few new Christmas themed games that we will be using this year and I wanted to share them with you, completely free! 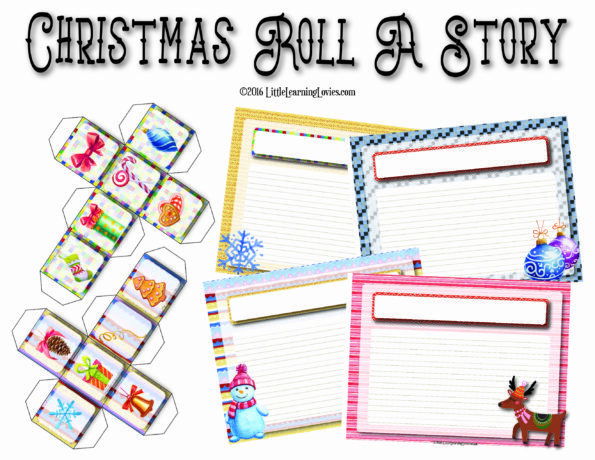 The second is called Christmas Roll A Story and is a cooperative game in which EVERYONE wins. 🙂 You roll the picture dice and build a story based on the pictures. Each player takes a turn to add to the story and usually the result causes lots of giggling. 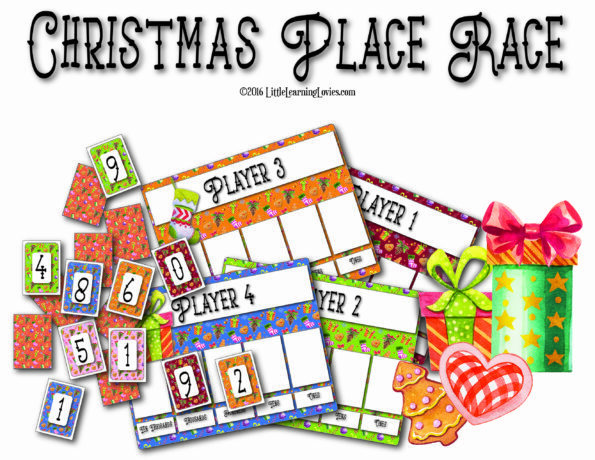 CLICK HERE TO GET YOUR FREE PRINTABLE CHRISTMAS THEMED FAMILY GAME NIGHT GAMES! I sincerely hope you and your family use these games to reconnect and enjoy each other this holiday season. Previous Post Halloween Printable Goodies Just Turned Up at Little Learning Lovies! Next Post Valentine’s Day Free Treats for You!